The latest CompassRx report of public drug plan expenditures shows that Canadian plans are getting squeezed by rising drug costs. The annual report, which analyses drug spending trends for 11 publicly funded plans, showed a $1-billion spike in prescription drug spending during the 2015-2016 period. That brought total documented expenditures up to $11.3 billion, 79.7% of which was covered by the plans. The rest was paid by beneficiaries either out-of-pocket or through private drug plans. Average prescription costs for both non-seniors and seniors grew more rapidly compared to previous years. In the case of seniors, the rise in costs reversed a years-long trend of declines. The highest per-senior expenditures were observed for Health Canada’s Non-Insured Health Benefits drug plan ($2,342) and Ontario’s plan ($2,163), while the lowest were reported in BC ($908) and Prince Edward Island ($1,015). The prescription costs tallied for 2016-2016 were spread over 285 million prescriptions dispensed to more than 9 million active beneficiaries. The increased expenditure was composed of rising drug costs (74.7%), dispensing costs (21.8%), and reported markups (3.5%). 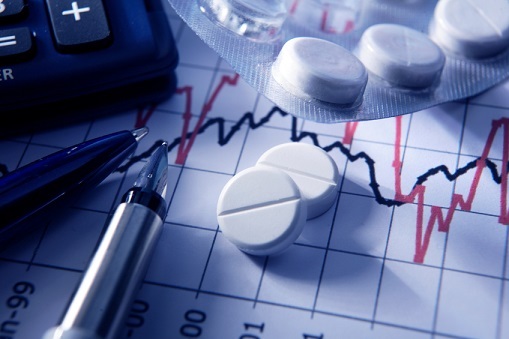 Drug costs rose by 12.4% (almost $900 million) to reach $8.4 billion. The increase was mainly driven by an upward push from higher-cost patented drugs with anti-hepatitis C antivirals accounting for more than half of the increase. The major high-cost treatments mentioned were ophthalmologics, diabetes drugs, immunosuppressants, antithrombotic agents and antivirals. Counterbalancing effects from generic pricing and substitution pulled down costs — but not by enough to offset the cost-increasing factors. Dispensing costs grew by 3.8% ($90.7 million). The average dispensing fee per prescription hardly changed compared to previous years (-0.2%), and prescription-size changes due to provincial policy adjustments made a modest contribution to dispensing-cost growth. Dispensing costs for patented drugs overall went down by 5.1%, although the costs for high-priced patented drugs (those costing more than $10,000 per year) rose by 20.4%. Dispensing costs for multi-source generics and single-source non-patented drugs increased by 11.3%, reflecting a generic substitution trend.